Three years ago, a group of forward thinking individuals at CHAS Health, an FQHC in Spokane, WA, recognized the need for well-trained ARNPs (Advanced Registered Nurse Practitioners) capable of managing complex medical patients, many of whom also have mental health issues or lack the basics of enough food or permanent housing. However, many new graduate NPs (Nurse Practitioners) can be overwhelmed by the intensity and responsibility of the work and the stress it brings. Participants in recent governance academies on Boards and CHC Finances were invited to share their thoughts and experiences in order to plan and execute smart ideas for the purpose of raising friends and funds (Philanthropy) from beyond non-patient care service billing. The following insights are shared for your further discussion and planning at your next board meeting. In 2017, 55% of all health center patients in Region X were covered through Medicaid. In this article, I explore how the amount that FQHCS have charged to Medicaid has changed over time, as well as how the payments health centers have received relate to their total amount of patient-related revenue. This is a complicated subject, with a lot of significance for health centers, and I'll go into greater depth on some of the topics introduced here in the next article. But for now let's look at total FQHC charges and revenue by payer type for each state in our region. Share about your CHC or community health-related endeavor by writing an article for the Northwest Pulse! Email Crysta, Member Services Specialist, for more information. This webinar series consists of 5, hour-long online sessions. Content will focus on foundation concepts related to Substance Use Disorders (SUDs), including addiction basics, prevention, talking with patients about addiction, provider self-awareness and bias, harm-reduction. Webinars will be led by a variety of subject matter experts. The series is ideal for doctors, prescribers, nurses, behavioral health staff/management, and anyone interested in learning foundational information, practical/applicable skills, and sharing best practices for SUD prevention and treatment. Develop professional skills and become better equipped to support patients experiencing addiction, and/or staff working with patients experiencing SUD or opioid use disorders. The annual NWRPCA Spring Summit (formerly known as the Spring Primary Care Conference) is one of our cornerstone offerings. Attend this year's conference in Anchorage, Alaska from May 19-21, 2019! Over 2.5 days, learn from prominent speakers, hear federal policy updates, and network with primary care colleagues. Event highlights new to the Spring Primary Care Conference format include Region X peer learning, collaboration, and professional development. The Alaska Primary Care Association (APCA), in collaboration with NWRPCA, is pleased to bring the expertise of the National Committee for Quality Assurance (NCQA) to Alaska with an upcoming two-part education seminar for health professionals. This 1.5 day training covers the 2017 NCQA PCMH standards, and is designed for any health care professional, decision-maker, or consultant interested in getting the inside perspective directly from expert faculty from NCQA in evaluating a primary care practice and their ability to become recognized as a Patient Centered Medical Home by NCQA. The Alaska Primary Care Association (APCA), in collaboration with NWRPCA, is pleased to bring the expertise of the National Committee for Quality Assurance (NCQA) to Alaska with an upcoming two-part education seminar for health professionals. This 1 day interactive program is geared towards individuals with significant knowledge of the NCQA PCMH Standards and experience implementing those standards in a practice setting and who have attended the Introduction to PCMH 2017 seminar; and those who intent to obtain the individual PCMH Content Expert Certification credential. This two-day workshop is ideal for Region X (Alaska, Idaho, Oregon, and Washington) CHC managers, supervisors, directors, and leadership. Participants learn through a highly interactive course to: develop flexible, responsive, productive, and customer-focused teams, utilize behavioral interviewing to hire staff with the right skills and fit for the long term, coach and develop employees, communicate for results, strengthen trust, and de-escalate conflict, and much more. 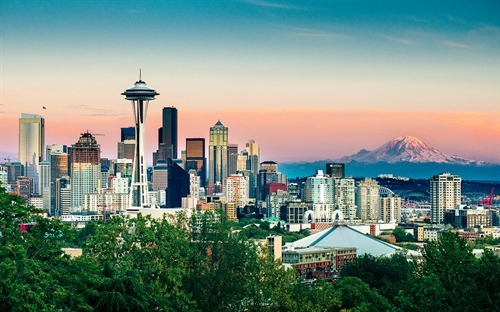 The 2019 CHAMPS/NWRPCA Fall Primary Care Conference, in partnership with WCN, to be held in Seattle, WA October 5-8, 2019, provides education and training, information and resource sharing, coalition building, and program and policy development for like-minded community health professionals and their partners. HRSA announces the opportunity to apply for funding under HRSA's Rural Maternity and Obstetrics Management Strategies (RMOMS) program. The purpose of the RMOMS program is to improve access to and continuity of maternal and obstetrics care in rural communities. HRSA announces the availability of $200 million in supplemental funding for Integrated Behavioral Health Services (IBHS). IBHS will increase access to high-quality integrated behavioral health services, including prevention or treatment of mental health conditions and/or substance use disorders, including opioid use disorder. Organizations currently receiving Health Center Program operational grant funding are eligible to apply for up to $145,000. HRSA is pleased to announce the release of the Health Center Program Service Area Considerations Request for Information (RFI). HRSA seeks input from the public on service area considerations that may inform HRSA decisions regarding Health Center Program expansion through an existing health center’s addition of new service delivery sites. The Service Area RFI announcement will begin with a 30-day preview period. Instructions on how external stakeholders may submit feedback are forthcoming. Following the preview period, HRSA will accept public feedback for 60 days and plans to announce those details in a future Primary Health Care Digest newsletter. We look forward to receiving your feedback. HRSA recently released a notice of funding opportunity that will support up to 32 public or private nonprofit health care providers located in rural areas to improve patient care in their communities. HRSA expects to invest approximately $6.4 million for this program, which aims to improve the quality of rural health care through an evidence-based approach to primary care that has proven effective in rural areas. Previously funded organizations under this program designed and carried out projects focused on coordinated care for patients, chronic disease management, integrated care delivery systems, and reduced admissions for emergency rooms and hospitals, among other issues for rural providers. Objectives for this program, which is competitive every three years, include improved health outcomes, better engagement of patients and their caregivers, and continuous improvement to chronic disease management. 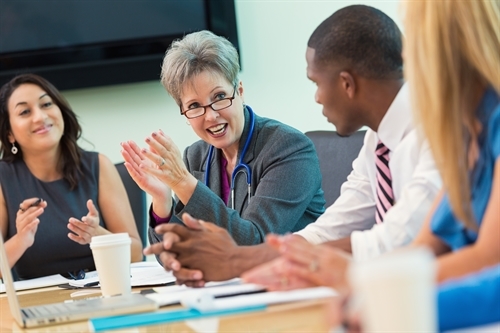 Grantees also are encouraged to implement quality improvement activities that measure value by outcomes, establish and maintain PCMHs, and integrate behavioral health into the primary care setting. View the announcement on Grants.gov to learn more. Applications are due by Monday, April 22. The Association of Asian Pacific Community Health Organizations (AAPCHO), Health Outreach Partners (HOP), and the National Health Care for the Homeless Council (NHCHC)—all HRSA-funded NCAs—will convene a learning collaborative focused on diabetes management in special populations. This cohort of clinical and non-clinical health center staff will learn about effective population-specific approaches, document efforts and effectiveness, and establish new goals using the framework of a Change Map to guide their diabetes prevention and management work. Applicants must be existing or potential Health Center Program grantees and must have at least one staff member representing clinical and one staff member representing non-clinical practices. A total of 2-3 clinical and non-clinical health center staff must attend four learning sessions between May and August. Apply by Friday, April 19. View the latest funding opportunities, as well as other educational resources and information, on our website. Post available jobs at your health center or view current openings at NW health centers. Attend one of our in-person workshops or online webinars. Previously recorded events are also available. Read news highlights about Region X health centers. Northwest Pulse is the newsletter of Northwest Regional Primary Care Association. Each issue features a variety of information about community health, member news and spotlights, and important funding and workforce listings. We welcome your comments and feedback as well as your news items. Please email us your thoughts and your news, resources and opportunities to share at membership@nwrpca.org. This project is supported by the Health Resources and Services Administration (HRSA) of the U.S. Department of Health and Human Services (HHS) under grant number U58CS06846, "S/RPCAs," total award $950K, with 65% of program funded by nongovernmental sources. This information or content and conclusions are those of the author and should not be construed as the official position or policy of, nor should any endorsements be inferred by HRSA, HHS or the U.S. Government.